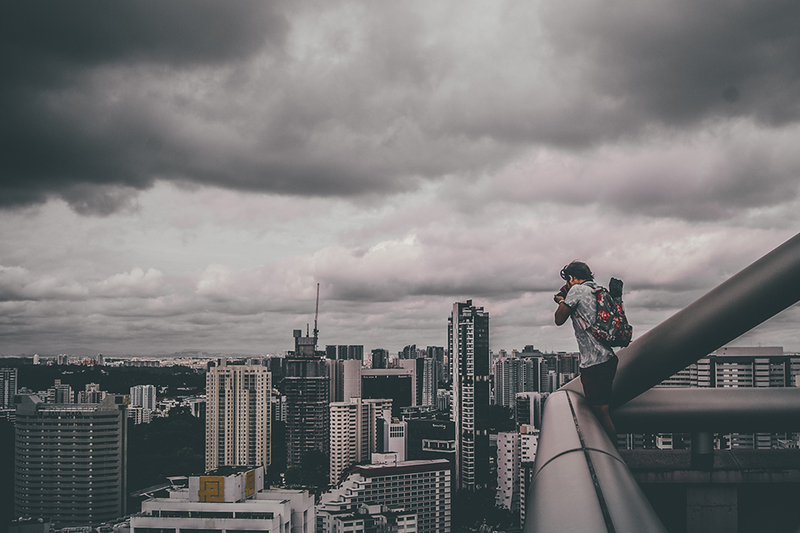 UrbanWire finds out the motivation behind extreme urban exploration, and why explorers risk life and limb to get that perfect shot. Note: UrbanWire does not encourage readers to try out extreme urban exploration. It is illegal and highly dangerous. His legs are shaky. Breaking out in cold sweat, he starts jabbering to himself. His stomach feels strange, his palms clammy. As thoughts of certain death race through his mind, the world appears a precious, treasured place. Pacing himself, he slings his camera across his shoulders and begins the ascent. Heart thumping, he leaps over obstacle after obstacle – fences, high walls, broken ladders, just to name a few. But to him, those aren’t the biggest hindrance. His biggest problem? Evading the authorities. 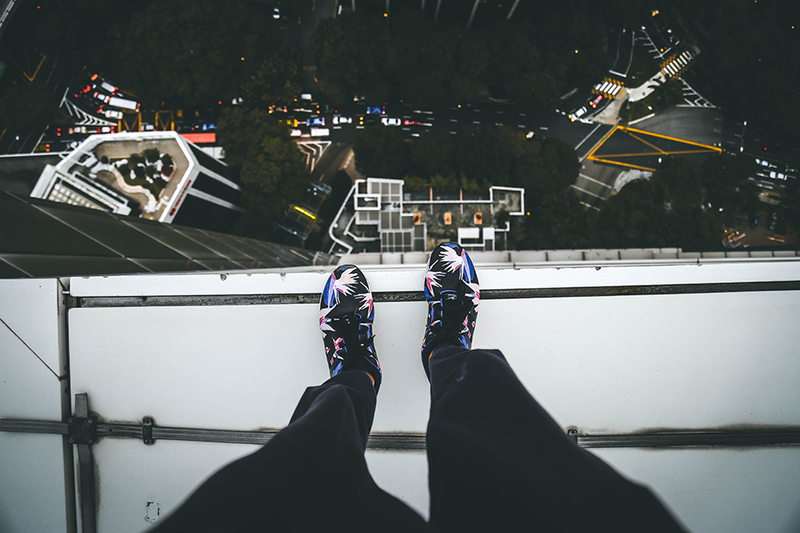 These are the dilemmas and experiences faced by extreme urban explorers. Welcome, to their world. What is extreme urban exploration? Urban exploration is defined as “the examination of restricted places or structures erected by man”. It’s a worldwide phenomenon with its very own fanzines, conventions, culture, ethics, periodicals, books, movies, MTV specials and clubs. 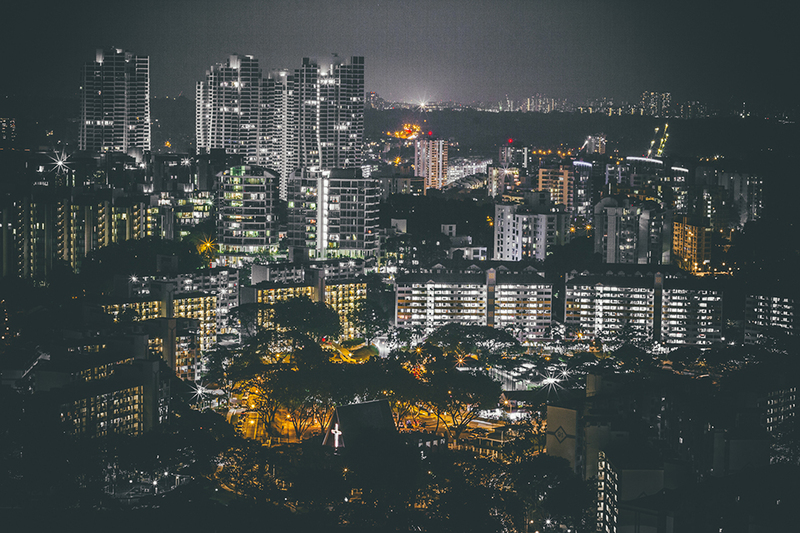 In Singapore, one such club is the Urban Explorers of Singapore. 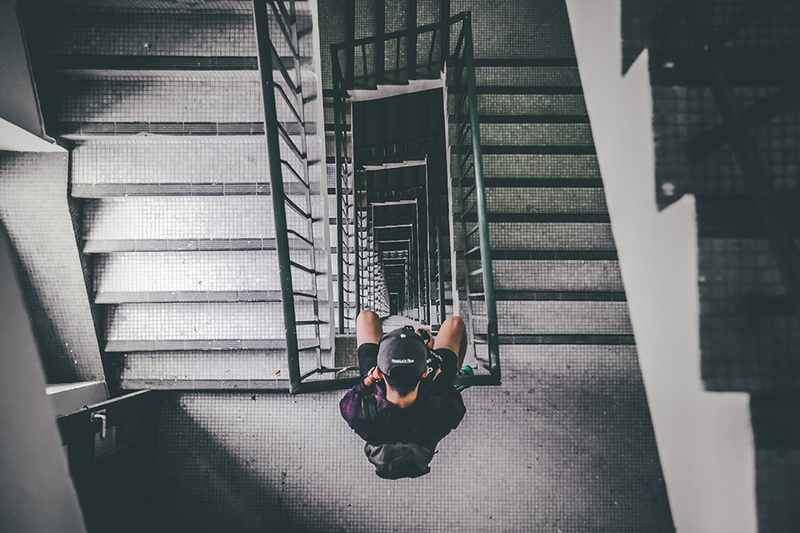 While old buildings will always be trespassed by foolhardy teens, what makes urban exploration different is that it’s done by thousands of varying ages and professions — not only cheeky kids. They do it to take the perfect unique photo that serve as mementos to signify their feats. Old decrepit buildings aren’t the only stomping grounds: basements, train tunnels, drains, cemeteries, hospitals, decommissioned ships – anything man-made that was erected to serve a purpose can and will be explored. But there will be those that go to the extremes. 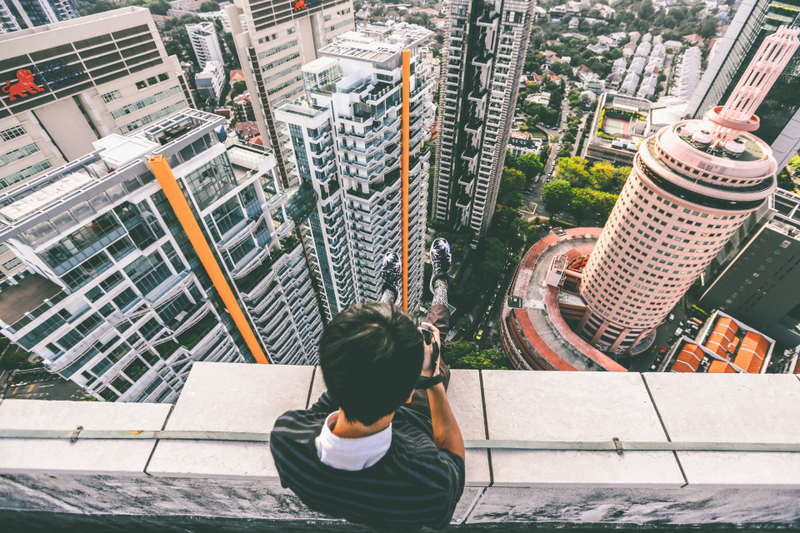 Extreme Urban Explorers take urban exploration to a whole new level (pun intended). They go the extra mile, often climbing fences, circumventing security, picking locks and jumping from other rooftops just to get to the high point of the highest building. 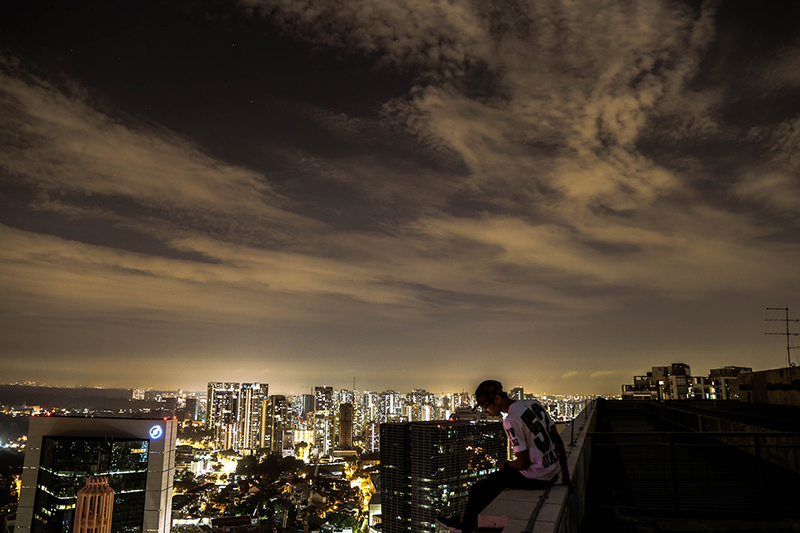 In Singapore, it’s called roof-topping and it’s riding a new wave with the local youth. One reason why it has garnered such traction here is the sublime adrenaline rush. 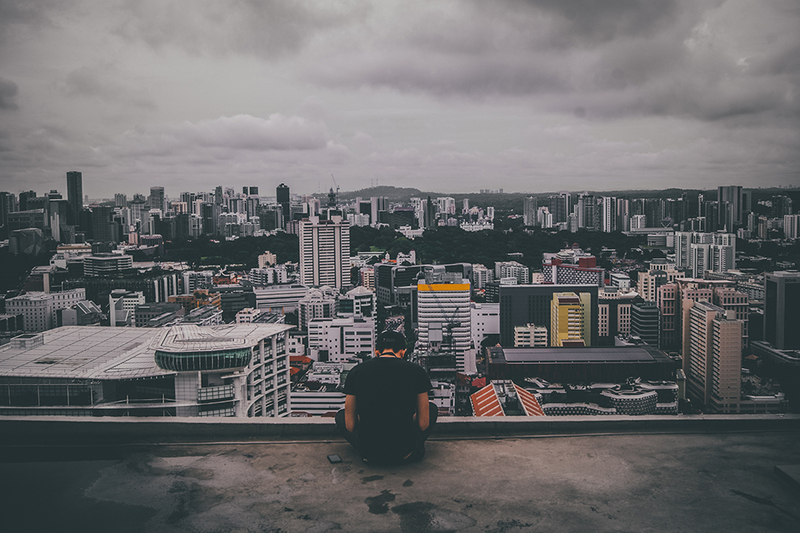 Alton, 20, a recent polytechnic graduate, explains: “I started roof-topping because I wanted to feel what it’s like being on top of everyone and being free. I prefer to have my peace up there while having the adrenaline rush.” He has been roof-topping for the past year. The process of finding a roof to infiltrate is a rather tedious one. Most of the rooftops that have been infiltrated lacked security measures or are easily accessible via other options such as open stairways to the roof. Alex explains that he and his partner once had to walk up floor after floor, hoping that one of the doors would work. 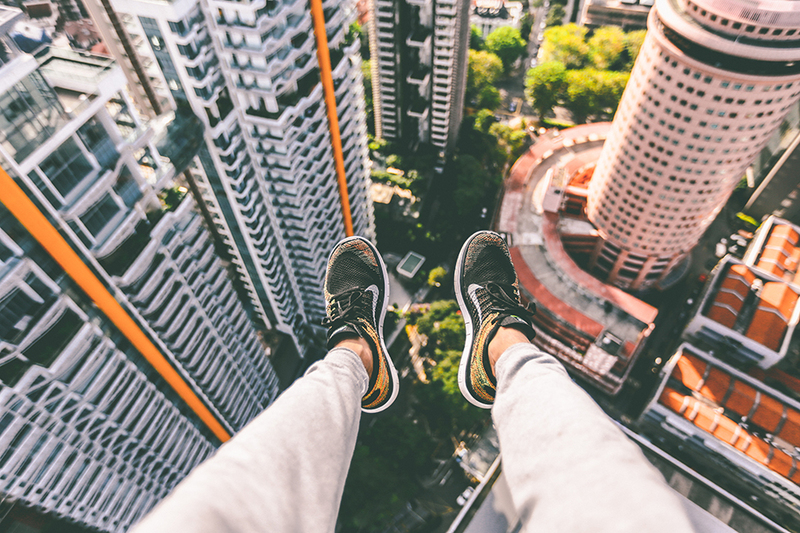 “We ended up climbing almost 20 floors just to get to an open door.” Roof-topping does requires a lot of legwork – a concept foreign to rookies. 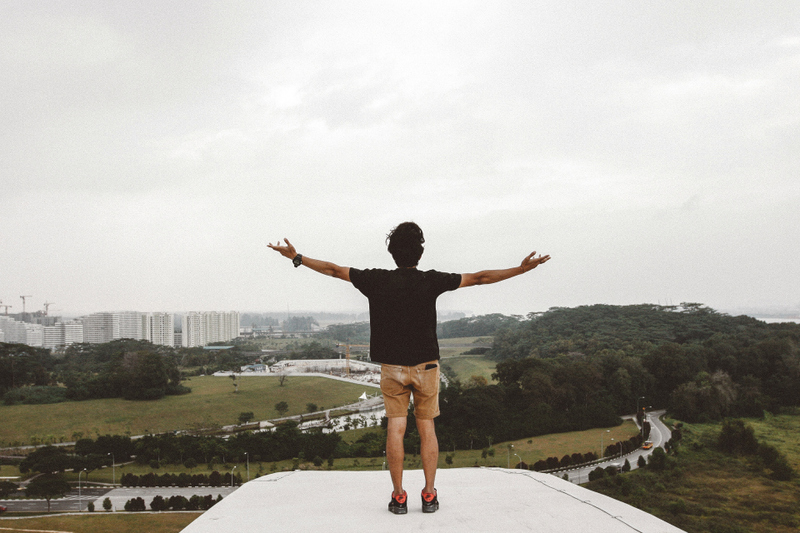 However, do note that while it’s all fun and games at the top, roof-topping can be an offence in Singapore if you’re caught. Under the Miscellaneous Offences (Public Order and Nuisance) Act (Chapter 184), Section 21, it states that whoever trespasses any ground belonging to the Government or appropriated to public purposes, or in or on any dwelling-house or premises or any land or ground attached thereto, shall be guilty of an offence and shall be liable on conviction to a fine not exceeding $1,000. Due to this one of a kind experience, it drove him further to crave more of such experiences. He loves seeing perspectives as he thinks that roofs in general “give you another point of view of this place [Singapore]”. Brandon, 17, an Institute of Technical Education student, shares a similar sentiment. He recounts how timid he was and how much he feared heights when he first started. In fact, Brandon was very hesitant to try roof-topping but the activity has somewhat shaped him. “This has helped me evolve to become braver. It’s positive and I’m proud of myself, as I was once afraid of heights. It shows how much I’ve improved over time,” he adds with pride. Is it worth the risk to life and limb, as well as the possibility of breaking laws? That is a decision every extreme urban explorer has to figure out for him or herself. Ultimately though, it isn’t always smooth sailing in this line of exploration. Security personnel caught these explorers in the act at one point during their roof-topping exploration. The only difference: the lucky ones walk away with only a stern warning while the not so unfortunate ones are surrendered to local authorities. Brandon is one of those who were considered unlucky. He recalled an episode whereby the police had to step in. He attributes it to complacency and overconfidence as he thought that it would just be like any other normal roof-topping exploration. “We were lucky the management didn’t want to press charges against us. When the police came, they just gave us a stern warning,” he adds, heaving a sigh of relieve. Urban explorers all have people who care about them, family and friends, who surround and shower them with affection. Hence, most of them tend to be discreet in their involvement in this activity to not worry loved ones. 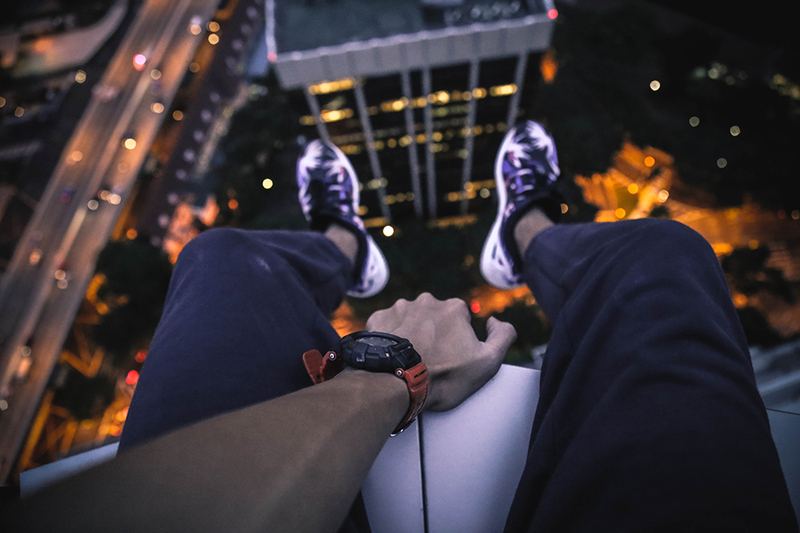 Though most managed to keep a low profile, Suraj, 23, a National Servicemen with the Singapore Armed Forces, however, got exposed as his family members saw his roof-topping photos. Striving for that perfect photo and coupled with the factors mentioned above has caused a surge in individuals clambering on roofs. One thing that stands out, as expressed by the boys, is that intention of wanting a shot badly or discovering one’s self is becoming lost these days. Extreme Urban Exploration is now centered towards fishing for compliments. “I personally think I’ve grown out of the roof-topping hype. I’d rather stay on the ground.” Suraj said in agreement. Photos courtesy of Alton, Alex, Brandon and Thaddaeus. What do you think of their actions? Is this too reckless and extreme? Tell us in the comments below!